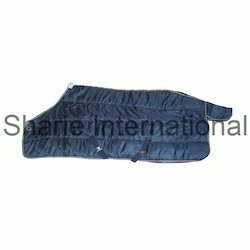 Supported by a team of creative designers and expert workforce, we have been able to bring forward for our clients a wide assortment of Horse Clothings. These highly appreciated and acclaimed products are specifically manufactured using high grade raw materials sourced from certified vendors. Our custom designed range includes different kinds of rugs such as Waterproof Turnout Rug, Turnout Rug With Neck, Ripstop Turnout Rug, Turnout Rug, Two Tone Turnout Rug and Honey Comb Horse Rug to name a few. 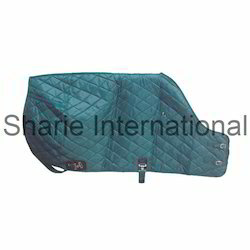 Being an industry leader of an extensive assortment of equestrian products, we bring forward for our prestigious clients elegantly designed array of Horse Quilted Rug. We ensure that the complete range is specifically manufactured using only quality approved fabric and other material, which is sourced from reliable vendors of the nation. Further, the range is subjected to stringent checks and tests to ensure delivery of only defect free products at client’s destination. 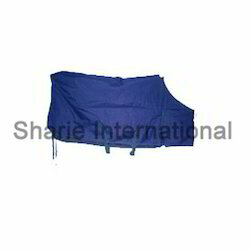 Our organization is instrumental in manufacturing and exporting an innovative and durable range of Waterproof Turnout Rug. The complete assort offered by us is specifically manufactured employing advanced techniques as per the industry defined standards. Attractive in design and soft in texture, this range can also be availed in custom designs based on the preferences of the clients. 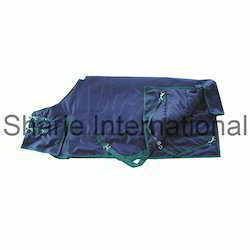 Our organization is instrumental in manufacturing and exporting an innovative and durable range of Outdoor Turnout Rug. The complete assort offered by us is specifically manufactured employing advanced techniques as per the industry defined standards. Attractive in design and soft in texture, this range can also be availed in custom designs based on the preferences of the clients. We are mainly looking for Foreign Inquiry. Leveraging on the experience and expertise of our professionals, we have been able to design and manufacture an enticing collection of Horse Stable Rug. To provide best in industry products, our professionals ensure that the complete assort is stitched making use of high grade raw material and advanced technologies. Moreover, the proficiency of our professionals aid us in offering the range of Horse Stable Rug in customized designs based on the preferences of the clients. In order to successfully meet the diverse demands of our clients, we are engaged in offering a wide range of Fleece Rug. Elegantly designed with single buckle front closure at neck, these rugs consist of outer shell 240 gsm sweat absorbing and breathable polar fleece. Further, to meet the diverse preferences of the fashion conscious clients, the range can be availed in plethora of sizes and colors. 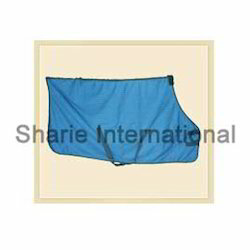 Our organization is instrumental in manufacturing and exporting an innovative and durable range of Horse Rain Sheet. The complete assort offered by us is specifically manufactured employing advanced techniques as per the industry defined standards. 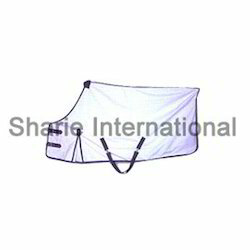 Attractive in design and soft in texture, this range of Horse Rain Sheet can also be availed in custom designs based on the preferences of the clients. Made with 600DN Ripstop ,Waterproof & breathable Fabric. Front 2 closer buckles, Shoulder Gussets, Cross Half Surcingle, Leg Strap. Available in all colour and sizes. 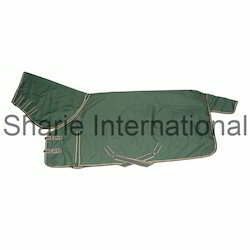 Our organization is instrumental in manufacturing and exporting an innovative and durable range of Horse Turnout Rugs. The complete assort offered by us is specifically manufactured employing advanced techniques as per the industry defined standards. 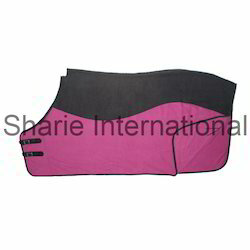 Attractive in design and soft in texture, this range of Horse Turnout Rugs can also be availed in custom designs based on the preferences of the clients. Being an industry leader of an extensive assortment of equestrian products, we bring forward for our prestigious clients elegantly designed array of Nylon Stable Rug. We ensure that the complete range is specifically manufactured using only quality approved fabric and other material, which is sourced from reliable vendors of the nation. Further, the range of Nylon Stable Rug is subjected to stringent checks and tests to ensure delivery of only defect free products at client’s destination. Leveraging on our sound manufacturing facility and skilled workforce, we have been capable to offer an enticing collection of Stable Summer Sheet. Making judicious use of all installed resources and qualitative fabric, these professionals manufacture the complete assort as per the changing trends and preferences of the clients. Highly comfortable, perfect in fit and breathable, the range comes with following. Our esteemed patrons can avail from us an elegant range of Horse Sheet, which is precisely designed and stitched as per the changing trends of the market. 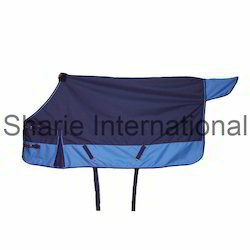 Available in various colors, designs, patterns and sizes, these Fly Sheets are ideal for all breed and ages of horses. 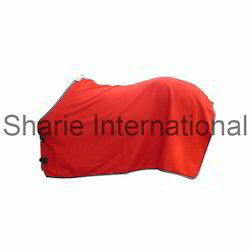 Moreover, to ensure their distinctive attributes such as colorfastness, shrink resistance, tear strength and other, these Horse Sheet are specifically manufactured using only excellent grade fabric. Our esteemed patrons can avail from us an elegant range of Fleece Rug, which is precisely designed and stitched as per the changing trends of the market. 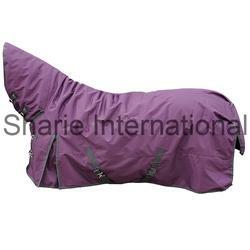 Available in various colors, designs, patterns and sizes, these horse rugs are ideal for all breed and ages of horses. 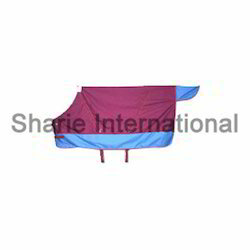 Moreover, to ensure their distinctive attributes such as colorfastness, shrink resistance, tear strength and other, these are specifically manufactured using only excellent grade fabric. Our organization is instrumental in manufacturing and exporting an innovative and durable range of Stable Rugs . The complete assort offered by us is specifically manufactured employing advanced techniques as per the industry defined standards. Attractive in design and soft in texture, this range of Horse Rugs can also be availed in custom designs based on the preferences of the clients. Stable rugs made with 400DN Fabric with 300GSM filing. Diamond Quilting,Front 2 closer buckles, leg strape and belly. We have in our stores for our valuable patrons a comprehensive range of Stable Horse Rug that is made from the best quality material, which makes them highly reliable as well as durable. 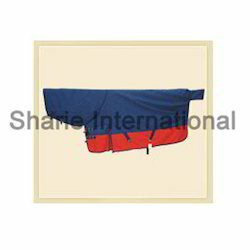 Designed with rip stop canvas water proof check mixer blanket full lining, these horse rugs comes stitched with cross full surcingle and front 2 closure with leg straps. 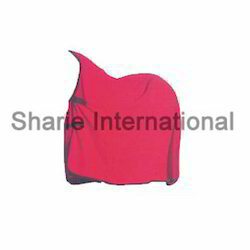 Available in numerous sizes and colors, these Stable Horse Rug are offered at most competitive prices to our clients. 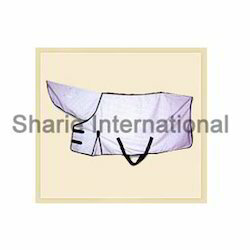 Full cross surcingle, Front 2 closer buckles, leg strap. Our esteemed patrons can avail from us an elegant range of Fleece Horse Rug, which is precisely designed and stitched as per the changing trends of the market. 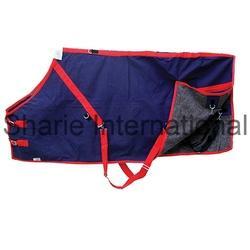 Available in various colors, designs, patterns and sizes, these horse rugs are ideal for all breed and ages of horses. Moreover, to ensure their distinctive attributes such as colorfastness, shrink resistance, tear strength and other, these Fleece Horse Rugs are specifically manufactured using only excellent grade fabric. 2 Tone Fleece Horse Rugs . 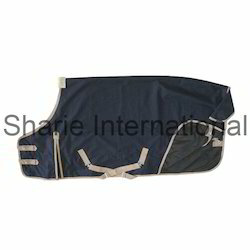 Esteemed clients can avail from us an extensive range of Horse Blankets, which is designed and manufactured keeping in mind the changing trends of the market. 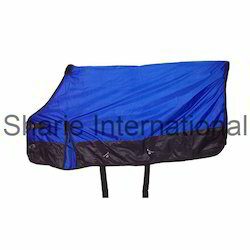 High on aesthetic and utility, these horse rain sheet can be availed in innovative as well as customized designs based on the specific preferences of the clients. 210DN Fabric with 300 GSM filings. It is due to the expertise and creative spur of our artisans that we have been able to provide eye catching yet fully functional assortment of Fleece Synthetic Horse Rug. These artisans ensure that the complete assortment is specifically stitched using optimum grade fabric, threads and other material in adherence with the changing trends of the market. Moreover, the expertise of these professionals aids us in designing the range as per the preferences of the clients. 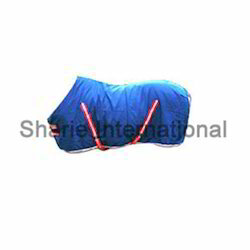 Fleece Horse rug with 210DN fabric on Shoulder. Capitalizing on the proficiency of our professionals, we have been able to provideaesthetically designed collection of Honey Comb Horse Rug. High on functional value, these are designed and developed in various shapes, sizes and styles to meet varied specifications and aesthetic sense of our clients. Further, the range of Honey Comb Horse Rug is stringently checked by our professionals to rule out even the minute possibility of error. Our esteemed patrons can avail from us an elegant range of Fleece Horse Rug, which is precisely designed and stitched as per the changing trends of the market. 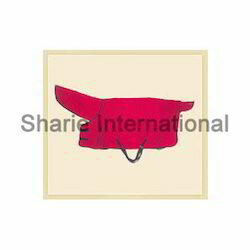 Available in various colors, designs, patterns and sizes, these horse rugs are ideal for all breed and ages of horses. Moreover, to ensure their distinctive attributes such as colorfastness, shrink resistance, tear strength and other, these are specifically manufactured using only excellent grade fabric. 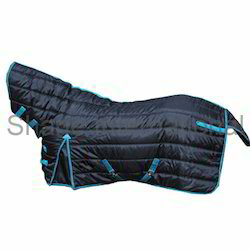 Our organization is reckoned as one of the best decorative Quilted Horse Rug manufacturers and exporters, based in India. The complete assort of horse rugs offered by us is made from the best quality material, which makes them highly reliable as well as durable. Further, these horse rugs come in different shapes & sizes, thus offering a wide array of options to choose from. 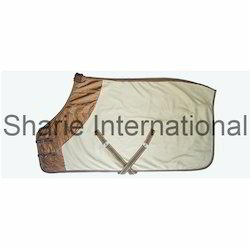 Owing to our rich experience in this domain, we are capable of offering precision designed array of Two Tone Horse Sheet. 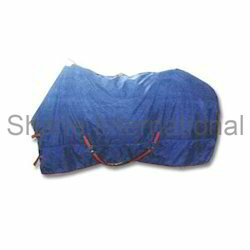 Using perfect fusion of advanced technologies and excellent grade raw material, these Horse Sheet are designed and manufactured in exact accordance with the client’s preferences and latest market trend. Moreover, our expertise enables us in delivering the consignments within given time frame. Our organization is actively engaged in manufacturing and exporting a range of high quality Poly Cotton Stable Rug. Making use of skin friendly & soft fabric and advanced machines, these stable rugs are manufactured in different sizes and colors to meet the specific preferences of the clients. With firm commitment to quality, we bring forward for our clients a best in industry range of Cotton Summer Sheet Horse Rug. Made using soft and skin friendly cotton fabrics, these rugs are running high in demand in the market due to their remarkable characteristics such as attractive designs, intact stitch, colorfastness, shrink resistance, tear strength and many more. 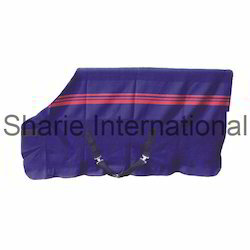 We have in our stores a wide assortment of elegantly designed and developed Horse Summer Sheet Rug, which consist of 2 closer buckles, shoulder gussets and cross half surcingle and leg strap. Made with utmost precision and perfection, these poly cotton horse summer sheet rugs are designed without neck front so as to ensure perfect fit on all breed and age horses. Keeping a tab on the changing trends and requirements of the customers, we bring forth an exquisite assortment of Ripstop Turnout Rug. Aesthetically stitched, these rugs are widely appreciated for their attractive designs, perfect fit, high comfort, intact stitch, high tear strength and various other attributes. Our organization also holds expertise in manufacturing and supplying a wide assortment of Acrylic Rug. With a perfect fusion of optimum grade wool and acrylic fabric, these are carefully designed and stitched by our professionals as per the changing market trends. Available in various sizes and complimenting golden yellow colors, these rugs can be offered in bulk quantities and customized designs within given time frame to the clients. We are one of the recognized organizations engaged in manufacturing and exporting a wide range of Poly Cotton Summer Sheet Horse Rug. Known for its intact stitch, skin friendliness, shrink resistance, colorfastness and breathable texture, these are precisely manufactured using high quality raw material and advanced machines. Designed as per changing trends, these Poly Cotton Summer Sheet Horse Rug can also be offered in customized forms as per the client’s preferences. Backed by a team of expert professionals, we have been bale to manufacture and export an attractive and breathable range of Taffeta Lining Stable Rug. 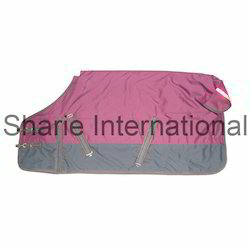 Making use of finest grade fabric such as poly-fill, these Taffeta Lining Stable Rug are precisely manufactured by our professionals in various sizes so as to offer perfect fit on all breed and ages of horses. Counted among one of the top-notch manufacturers and exporters of equestrian products, we present for our clients a designer range of Matti Stable Rug. Available in explicit designs and finish, these Stable Rug are precisely manufactured using optimum grade fabric to ensure their reliability and long lasting life. We are one of the foremost manufacturers and exporters of a comprehensive range of Fleece Cooler Rug. 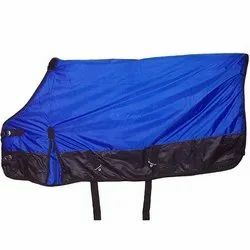 Comprising of Fleece coolers rug with front velcro closer and tail guard, the range is carefully manufactured using superior quality and skin friendly fabrics, which is sourced from renowned vendors of the industry. Available in various sizes and designs, these rugs are also offered in customized forms so as to meet the exact requirements of the customers. Backed by our rich industry experience and expertise, we have been able to provide superior range of Turnout Rug with Neck. We ensure that the complete range is specifically manufactured using high grade 1200 DN ripstop fabric, which is sourced from eminent vendors of the industry. Further, to meet the diverse demands of the clients, the range can be availed in various sizes and colors as per their preferences. Designed as per changing trends and client’s preferences, our range of Fleece Rug consist of 2 Tone horse fleece rugs, front 2 Closer buckles, cross half surcingle and Leg strap. Made using best grade polar fleece, fleece, suede & printed fabrics, these rugs are widely appreciated and acclaimed by the clients for their remarkable attributes. 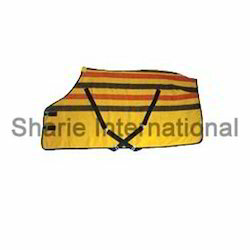 Offered in various sizes and colors, these custom designed products can be availed at reasonable prices. 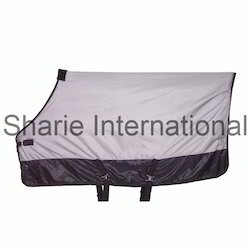 Looking for Horse Clothings ?